Miniwings is a terrific new series by Sally Sutton and illustrated by Kirsten Richards that I have to rave about. The first two books in this new series have just been released and I can’t get enough of them. I want my own set of Miniwings! The Miniwings series is about two sisters, Clara and Sophia, and the mischievous little Miniwings (think My Little Pony toys that come alive whenever it’s just them and the girls). There is Moonlight (a unicorn who loves his food), Glitterwing (who rains glitter when she flaps her huge, sparkly wings), Whizz (a fast little pony who loves playing tricks), Comet (a show-jumping and dressage star who hates losing), Firestorm (who is brave and a little bossy) and Oceana (who is loves the water and is very messy). They love to have fun and play tricks so they are always getting Clara and Sophia in to trouble. Glitterwing’s Book Week Blunder is about Clara and Sophia getting ready for Book Week at their school. They meet their favourite author and try to make their book character costumes, with a little help from the Miniwings. In Whizz’s Internet Oopsie, the Miniwings discover the internet and the marvels of shopping online. When they are left at home while the girls go to school the Miniwings find Mum’s credit card and go shopping. When deliveries start turning up on their doorstep Clara and Sophia have to figure out how to sort out the mess, especially when one of their surprise packages is a goat. I love everything about these books! The covers are really eye-catching, with their appealing colours and sparkly stars, so you just know that girls in particular are going to be desperate to get their hands on them. The Miniwings themselves are adorable but also super mischievous. They each have very different personalities and Kirsten Richards shows this in her stunning illustrations. Sally Sutton’s stories are so much fun to read and I know that kids are going to read these books over and over. Sally has a lot of fun with language and has created her own Miniwing-ese. The Miniwings like to use words like ‘noggin-flash’ (idea) and ‘delishy’ (tasty). The Miniwings also like to burst in to song throughout the story which made me laugh every time. The Miniwings series are perfect for young readers who are just getting in to chapter books. These fun, engaging stories are sure to hook young readers on books for life. I can’t wait to see what the Miniwings get up to next! A couple of exciting new series for younger readers have arrived in my library recently. I don’t read a lot of younger fiction but now and again a book or series will catch my attention. You can read all about them below. Twelve years from now, rat flu has wiped out almost every animal and bird on the planet. The creatures in Captain Noah’s Lost World Circus are the last of their kind. 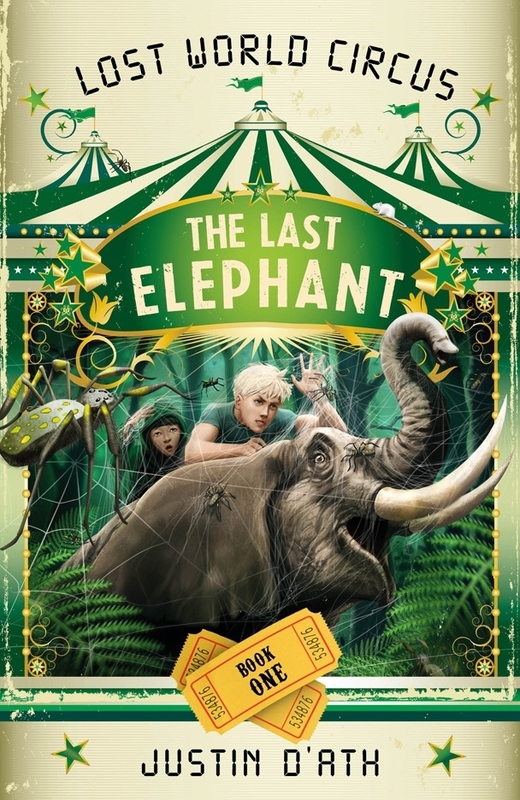 But the Rat Cops are determined to shut down the circus, and Colt and his acrobat friend Birdy might be the only ones who can save it, starting with Lucy – the world’s last elephant.